The long awaited laundry room is finished. Well, almost...just a little bit more trim work but it is usable and has a lot more storage. 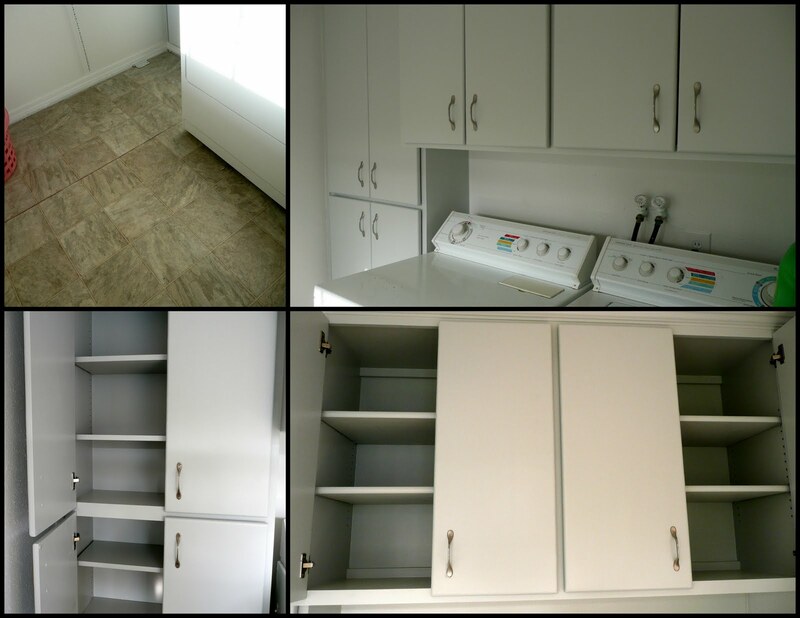 New cabinets and a new pantry. Yea. I think the contractor we hired to do the work did a great job at a reasonable price. I think next I may have him build me some cabinets for my craft room that desperately needs storage. So we have a new vinyl floor, new cabinets, new dry wall and new ceiling light. The room actually seems bigger. Here is the before shot. There was just open shelves before and not that many of them. I should have remembered to get a shot before he tore those out. Note the wood slat walls....that's right no insulation. This room also had wood floors. See that ceiling light? All gone and I now have a bright shiny new one with nickel trim. So, I am now back in the laundry business. Creativity, Where to Find It..